Before reading our lineage, understand the general purpose: Lineage is a time tested method to insure quality control in instruction. You start with one of the great martial artists of all time. That highly realized practitioner certifies his students to go out and teach. The knowledge is passed from one generation to another with teachers standing behind the instruction given by their students. If a student has a serious problem and is considered unqualified to teach, their teacher withdraws support. Aikido Westchester NY, through its association with the Takemusu Aikido Association is part of a large international organization (Aikikai) that encompasses the majority of Aikido schools in the world. The chief instructor, Steve Kanney, continues in the tradition of Morihiro Saito Sensei, one of the foremost students of the founder of Aikido. The dojo is supervised by Hoa Newens Sensei. 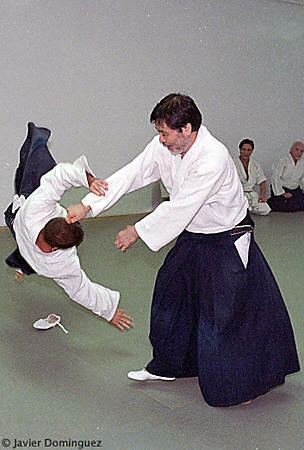 Aikido is a lineage based art with transmission from teacher to student. The Still Mind Aikido dojo can trace it’s lineage back to the founder of Aikido. The founder of Aikido taught many students, but the one who spent the most time with him was Morihiro Saito Sensei (1928 – 2002). Saito Sensei spent 23 years as a live in student, training under the master daily in Iwama, Japan. Seiichi Sugano (1939 – 2010) was also a direct student of the founder, but he spent 6 years with him only seeing him once a month in Tokyo. Daily training was with the founder’s son and Koichi Tohei, his top student at that time. Morihiro Saito Sensei received a full transmission of Aikido practice, becoming the founder’s other top student, besides his son. Seiichi Sugano only received a partial transmission. The Aikido weapons system, sword and staff, is considered essential to access the advanced levels of training. 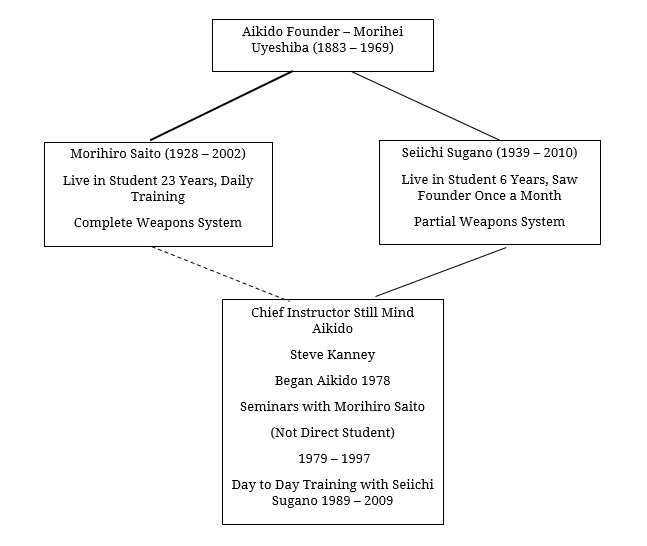 Saito Sensei is the only senior student of the founder to have a complete transmission of the founder’s weapons system, which he developed during the Iwama period. Sugano Sensei did at least have enough exposure to his weapons to combine it with Kendo and create his own hybrid weapons system. 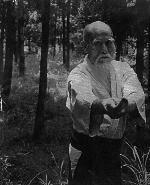 Some other disciples of the founder typically create hybrid systems or do not teach the Aikido sword and staff. 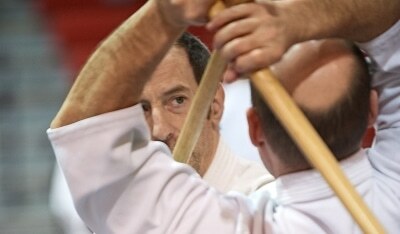 Steve Kanney, chief instructor of Still Mind Aikido, never became a direct student of Saito Sensei in Japan. But he attended seminars with him from 1979 to 1997. He informally continued to practice and retain what he learned. 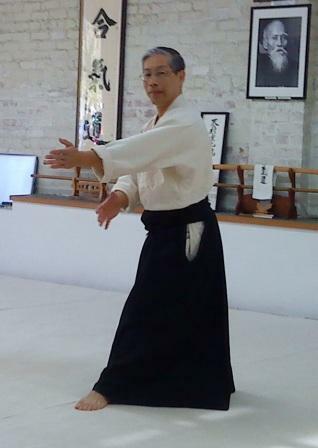 When Sugano Sensei moved to New York City, he began training with him intensively. He studied with him from 1989 to 2009. After 2009, the dojo affiliated with the Takemusu Aikido Association, run by senior direct students of Morihiro Saito Sensei. Hoa Newens Sensei supervises the dojo. For continued training, the Still Mind Aikido dojo seeks to have and attend seminars with direct students of Morihiro Saito Sensei. The dojo apologizes for any errors in history. We were neither present nor alive during some of the periods mentioned above.